Steampunk seems to be everywhere these days, from novels to short story anthologies in English. And a while back we reported on the first Brazilian anthology of steampunk. Now comes news of the first ever Romanian steampunk anthology! Edited by Adrian Crăciun, the anthology will be published by Millennium Books in Romania and include stories from: Aron Biro, Oliviu Crâznic, Ștefana Czeller, Costi Gurgu, Michael Haulică, George Lazăr, Mircea Opriță, Florin Pîtea, Marian Truță și Ioana Vișan. Awesome news! Let’s hope we get to see some of these translated soon – and can more non-English steampunk anthologies be in the works somewhere in the world? Well, this would be a great thing indeed. 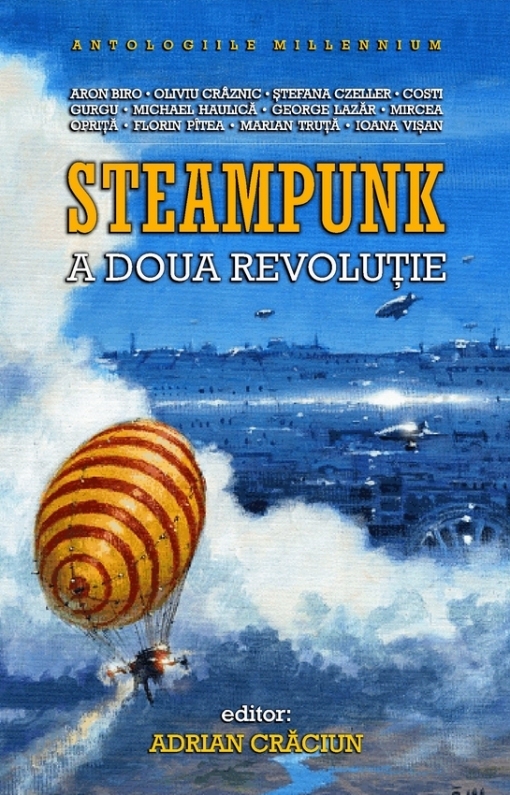 Let us hope soon will read Romanian steampunk in English.